Reminisce with us as we celebrate years of delicious food, world class entertainment and traditional Polish hospitality at Village Polonaise! 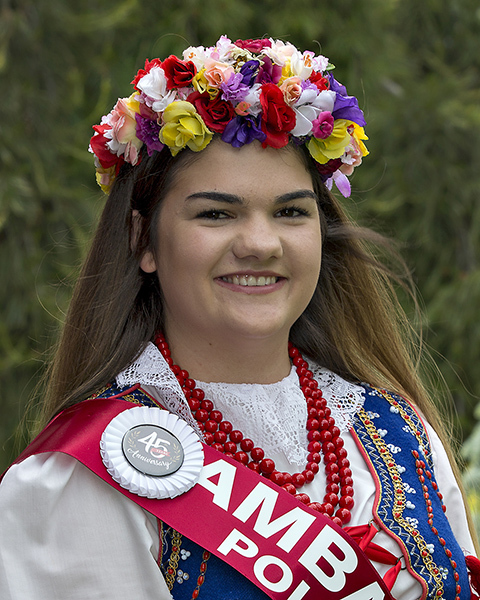 As one of the original members of the International Villages Festival, Village Polonaise was named by Village founder Frank Wdowczyk as a way to commemorate Polish Canadians who joined the allied armed forces in World War II. As these men and women came home to Brantford, the Polonaise Veterans Club was formed and housed at its current location on 154 Pearl Street. As we honour the past, we are eager to show you why Village Polonaise has maintained its popularity. 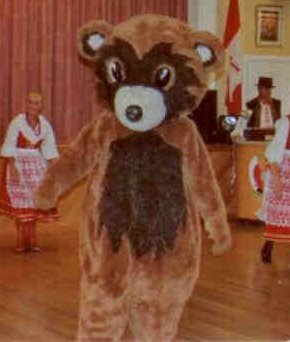 Providing top-notch entertainment to thousands of visitors each year, we are proud to have brought Polish folklore to life with such characters as the Lajkonic, the Dancing Bear, and Dead Maciek. Polish hospitality of course remains our focus as we encourage you to enjoy our Polish cuisine prepared daily. These delicacies include cabbage rolls, shish kabobs, kielbasa and meatballs. And why not have some fun while dining, and enter our pierogi-eating contest? Finally, visit and experience our display of rich and interesting Polish artifacts as we proudly share a bit of our Polish culture with you. We look forward to seeing you at Village Polonaise as you become part of our history. Witamy! February 27, 1927 the Polish Mutual Benefit and Friendly Society officially received its charter with a mandate to uphold Polish culture, language and tradition, as well as providing a social meeting place for the region’s new Polish immigrants. The historical inaugural meeting elected John Neziol - President; Tom Mech – Recording Secretary; Frank Mroz – Financial Secretary; Bruno Spychaj – Treasurer; Peter Wiacek – Organizer and Michael Neziol and Andrew Morz - Committee Members. As part of its mandate a Polish school was created. After years of countless volunteer hours the building at 154 Pearl Street was officially opened as the Dom Polski on November 25, 1934. During the Second World War many Club members enlisted in the Canadian Armed Forces and the Polish Army that had a contingent based in Windsor, Ontario. An ambulance was donated to the Polish Army; $2,500 was donated to Polish soldiers and political refugees from totalitarian countries. After the war $5,000 was donated to the country of Poland (a substantial amount of money at the time). The Polish Mutual Benefit and Friendly Society joined in celebrating Poland’s Millennium of Christianity in 1966. In 1967 the Club celebrated Canada’s Centennial with the rest of Canada. In 1974 the Polish Mutual Benefit and Friendly Society was one of the driving forces to the establishment of Brantford’s Bell Centennial celebrations. 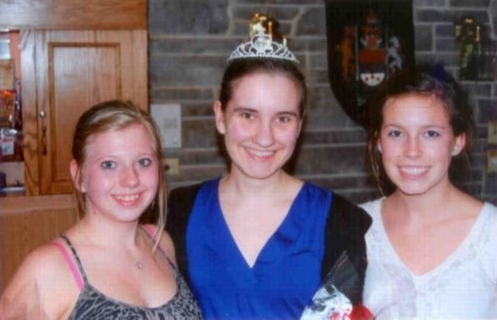 This event acted as a catalyst to the creation of the Brantford International Villages Festival. The Henjal Song and Dance Ensemble was formed to entertain the visitors to our Village. In 2003 the organizing organization of the Festival was disbanded. In order for the Festival to continue the Polish Mutual Benefit and Friendly Society was instrumental in organizing a new Voluntary Board of Directors to oversee the Festival. Those elected were Frank Wdowcyk – President, Pat Eyzenga – Vice President, John Stys – Secretary and Norm Philpott – Treasurer. In 1982 the Polish Mutual Benefit and Friendly Society, in solidarity with our brethren, organized a protest rally against the brutally harsh imposition of martial law in Poland. $15,000 donation from the Club in 1989 allowed the Henjal Song and Dance Ensemble to participate in the Folklore Festival in Rzeszow, Poland. In 1992 the film Deadly Matrimony featured members of the Henjal Song and Dance Ensemble. The Polish Hall on Pearl Street is home to various organizations such as the Polish Social Club, the Polish Language School and a Polish Seniors Club. It is also home to the Polish Ladies Auxiliary and the Polish Combatants Branch 4. The Club has sponsored many groups and through the fundraising venture of the Nevada Fund has donated over $675,000 to Brant-Brantford community groups. 2009 saw the Club becoming instrumental in convincing Brantford to Twin with the Polish city of Ostrow Wielkopolski which we hope will develop into an economic and cultural significant benefit. We invite you to enjoy the music, dance, food and hospitality of our Village. 6:00 p.m. 6:00 p.m. 6:00 p.m. 5:30 p.m.
7:30 p.m. 7:30 p.m. 7:30 p.m. 6:45 p.m.
8:45 p.m. 8:45 p.m. 8:45 p.m. 8:00 p.m.
9:30 p.m. 9:30 p.m. 9:30 p.m.
in the traditional way. Come and try our food. Monday to Friday 12:00 to 1:30 p.m.
Friday 5:00 to 7:00 p.m.